Propeller Coffee Co. and Crimson Cup Coffee & Tea have taken top honors in Roast magazine’s 12th annual Roaster of the Year competition. 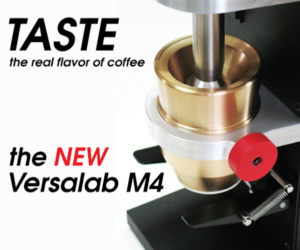 The two coffee roasting companies are featured in the trade publication’s November/December 2015 issue, available online at Roast magazine. 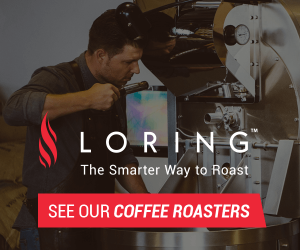 Roast magazine’s Roaster of the Year awards recognize companies that roast coffees of superior quality, exemplify a dedication to sustainability, promote employee and community education, and demonstrate a strong commitment to the coffee industry, among other criteria. 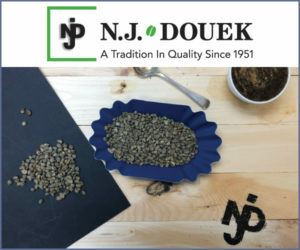 The magazine awards top honors in two categories: Micro Roaster of the Year, for companies roasting fewer than 100,000 pounds of coffee each year; and Macro Roaster of the Year, for companies roasting more than 100,000 pounds annually. 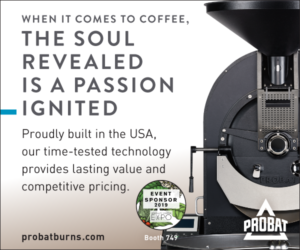 Propeller Coffee Co. of Toronto, Canada, was named Roast’s 2016 Micro Roaster of the Year, with a total output of 33,000 pounds of roasted coffee annually. 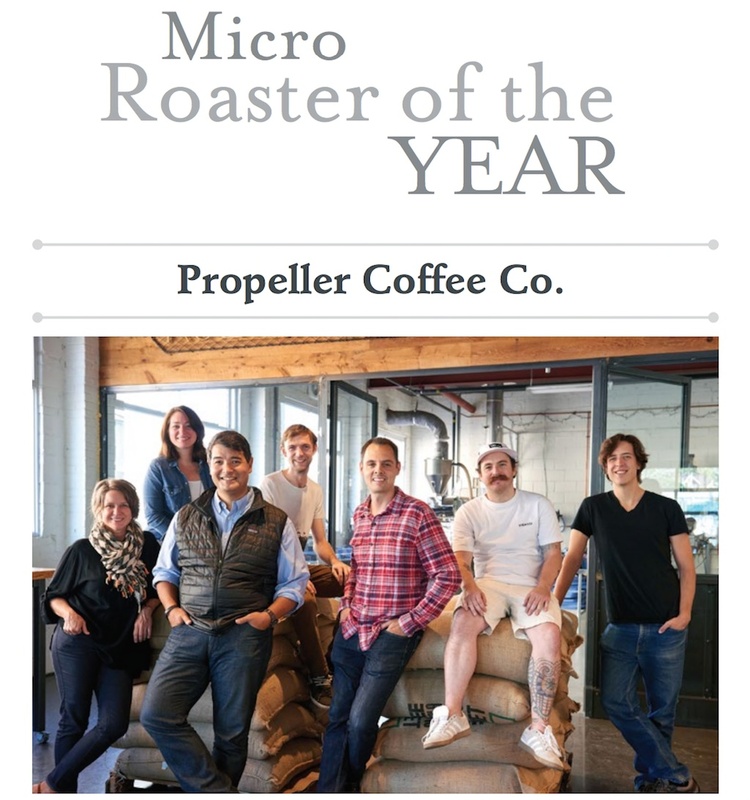 Propeller’s commitment to sustainability — from the company’s energy-efficient downtown roastery and complete reliance on renewable energy to its innovative transportation solutions and high-efficiency natural-gas-powered roaster — was a major factor in its selection as Micro Roaster of the Year. The company also has invested significantly in high-tech quality assurance systems, education efforts, and community engagement and support. 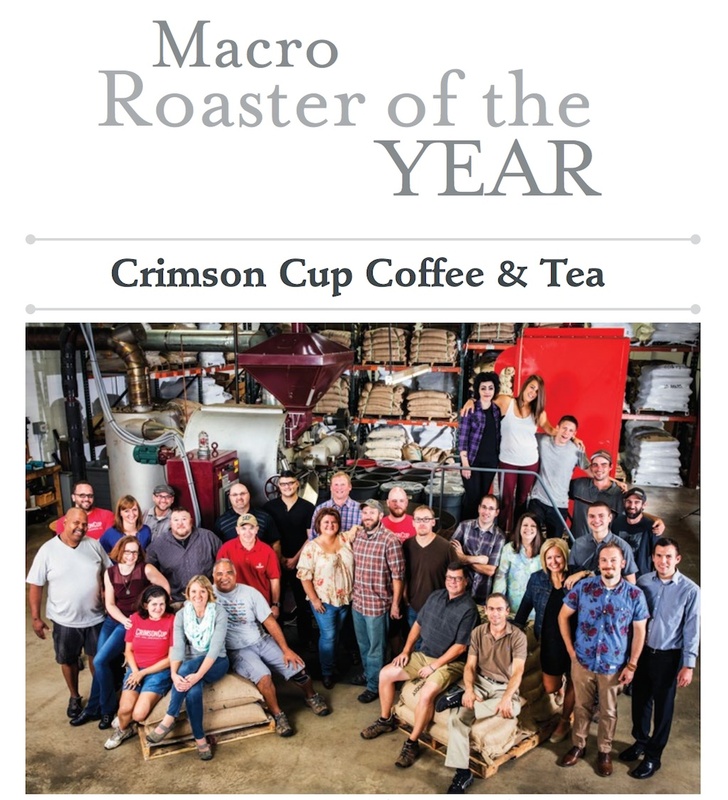 Crimson Cup Coffee & Tea of Columbus, Ohio, took the top prize for Macro Roaster of the Year, with an output of 485,000 pounds per year. 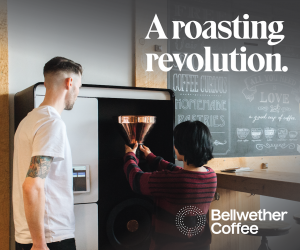 The company’s focus on education — including a franchise-alternative program that supports independent coffeehouses, ongoing partnerships with local universities, and a full range of consumer education workshops — played a key role in the roaster’s top placement. 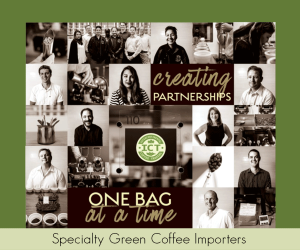 Crimson Cup also was recognized for its work cultivating relationships with coffee growers around the world, its substantial commitment to supporting local charities, and the development of a number of innovative cold-brew products. 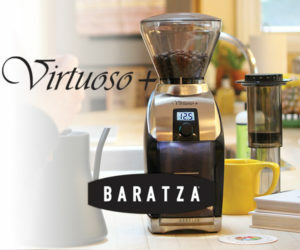 For more information about Crimson Cup Coffee & Tea, visit www.crimsoncup.com. The Crimson Cup team gathers around “Godzilla,” the company’s 325-pound Roure roaster from Spain. Photo courtesy of EclipseCorp. 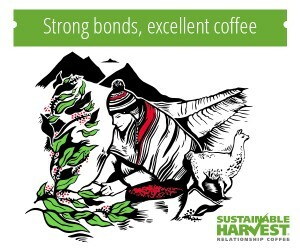 Describing a traditional coffee supply chain is anything but poetic. 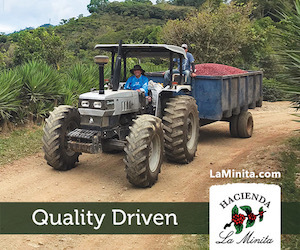 With words like cultivation, processing, transportation, distribution and consumption, the narrative is straight out of a Logistics 101 textbook. At Crimson Cup Coffee & Tea in Columbus, Ohio, such descriptions are only part of the story. 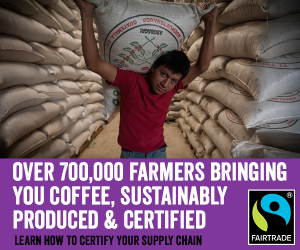 To founder and president Greg Ubert and the rest of his crew of coffee fanatics, the supply chain is also about something far more human—community. 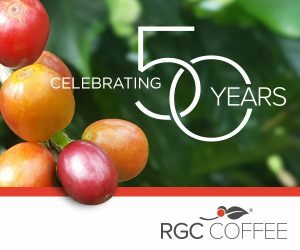 Now in its 24th year, Roast’s 2016 Macro Roaster of the Year has evolved into a powerful advocate for the local, national and international specialty coffee communities. 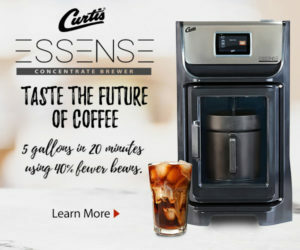 Its independent coffeehouse program—buttressed by Ubert’s book, 7 Steps to Success: A Common Sense Guide to Succeed in Specialty Coffee—helps roughly a dozen new coffee shops each year learn the ins and outs of the coffee industry, from business basics to marketing to cafe layout to new brewing methods. Read Crimson Cup’s full ROY profile. Propeller Coffee Co. from left to right: Kristi Tethong, director of events; Meghan Goodfellow, director of operations and customer service; Losel Tethong, co-founder and co-owner; Matthew Collier, barista and cafe supervisor; Geoff Polci, co-founder, co-owner and coffee buyer; Eric Bruce, head roaster; Jonathan Cox, head of coffee lab and assistant roaster. 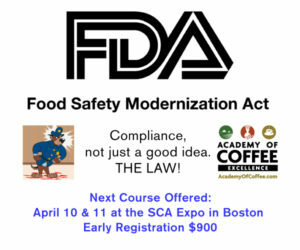 (Not pictured: Eric Mahovlich, barista and trainer.) Photo by Alex Beetham. Like most new roasters, Propeller Coffee Co. started small. 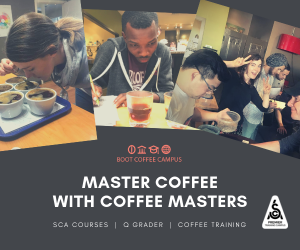 Founders Goeff Polci and Losel Tethong had full-time gigs elsewhere — Polci as owner of a small chain of cafes in Toronto called Crema, Tethong as a sustainability consultant for Fortune 500 companies — so they could afford to be deliberate. 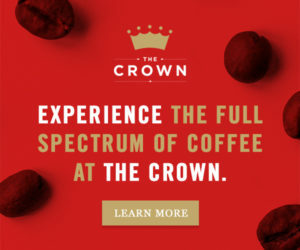 They spent the first six months roasting a few hundred pounds of coffee per week for Crema. Mission accomplished. A mere two years later, Propeller Coffee is Roast’s 2016 Micro Roaster of the Year, winning acclaim throughout the roasting community for the quality of its coffee and its impassioned commitment to sustainability. Read Propeller’s full ROY profile.